MICKEY MOUSE: Gosh, only the Mystery Mouseketool is left. PETE: Ohh! What's that mean? MICKEY MOUSE: It means, everybody say, "Mystery Mouseketool." ALL: Mystery Mouseketool. MICKEY MOUSE: What's today's Mystery Mouseketool? 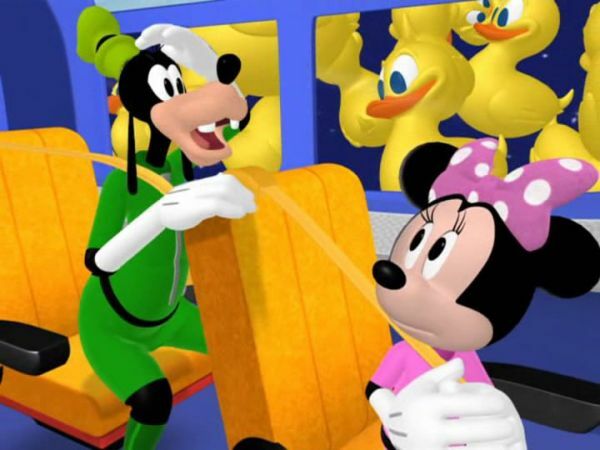 MICKEY MOUSE: Gosh, we know a great fun way to play. with sand. Building sandcastles. PETE: Sandcastles? Oh, say, that does sound fun. 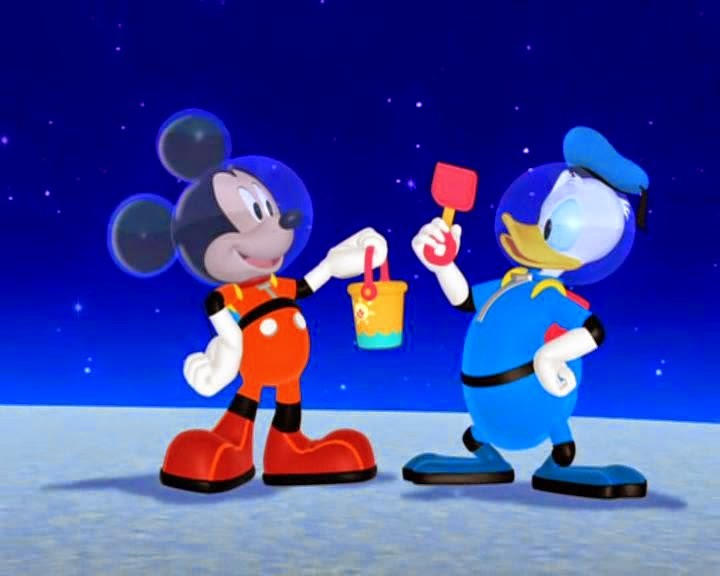 You got yourself a deal, Mickey the Mouse. Show us how to build sandcastles, and you get the bouncy ball back. DONALD DUCK: Bang, zoom! Uh-oh. Now what? 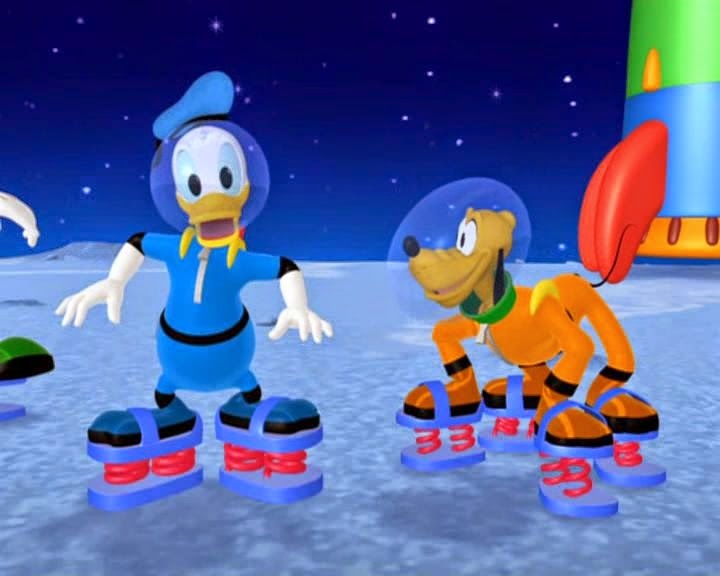 GOOFY: Gosh, Space Rubber Duckies. Lots of them. 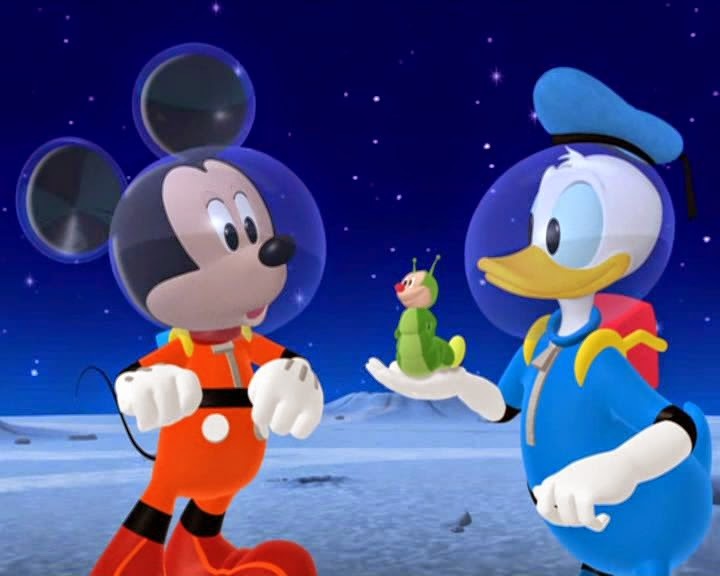 MINNIE: With all these Space Rubber Duckies blocking our view, we can't even see the dog-shaped constellation. 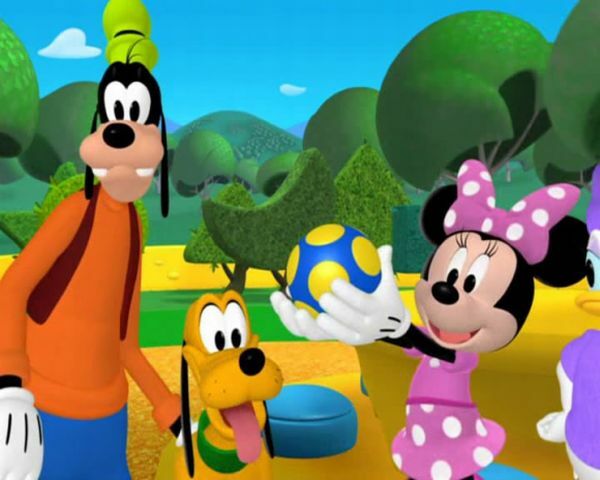 GOOFY: But we gotta see where it's pointing. MICKEY MOUSE: All we have to say is "Oh, Toodles" So long, Toodles. 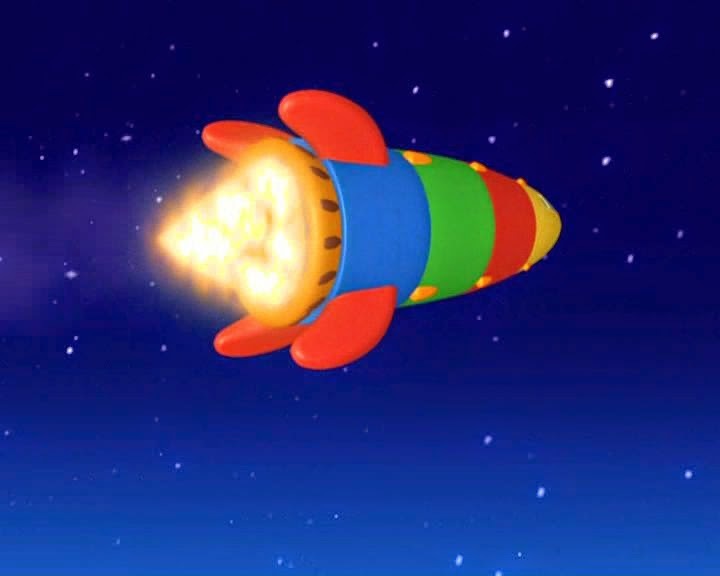 Okay, everybody, ready to go to the moon and find Pluto's bouncy ball? 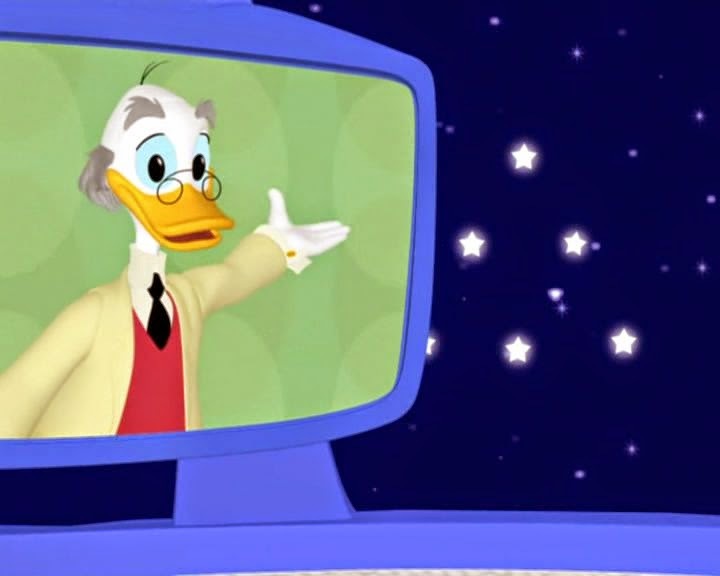 DONALD DUCK: To the moon.